The evening will focus on “Fostering Language and Literacy in the Early Years”. The event is free, but registration is required. Learn from the experts about how to help your child get ready for reading and develop essential literacy skills. In this workshop presented by Speech and Language Specialist Jill Cordon, M.S.L.P. and Reading Specialist Leslie Overbye, M.Ed., you will learn about typical speech and language development and how these skills form the foundation for reading and writing, the building blocks of academic success. 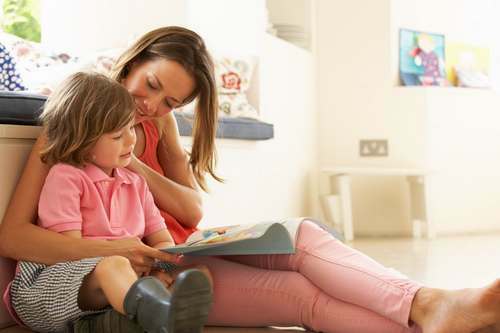 You’ll also learn specific strategies for fostering language and literacy skills at home, and you’ll walk away with a “toolbox” of progress checklists, teaching tools, activity ideas, and literacy games to use with your child. This workshop is recommended for parents of children ages 3-6. This event is free to attend, but registration is required. Please register at www.fayschool.org/literacy. Parking will be available at Fay’s Primary School at 23 Middle Road. Questions? Contact Erin Sullivan at esullivan@fayschool.org or 508-490-8219. Updated (2/12/19 8:31 am) The Fay calendar lists the event as rescheduled to February 26 at 7:00 pm. (It was originally listed as Tuesday, February 12 from 7:00 – 8:30.) It appears to have been moved from the Library to the Dining Commons. That’s still at Fay School’s Primary School, 23 Middle Road. The registration link led to a broken page – so I removed the signup link. But you can find the Fay public events page here to check for a link when that gets updated. Updated (2/13/19 12:12 pm) The registration link was fixed. Click here to sign up.